FlexVu Countertop with non-glare graphic lens holder. Features a durable, powder-coated steel frame. Holds standard letter paper (8.5×11). 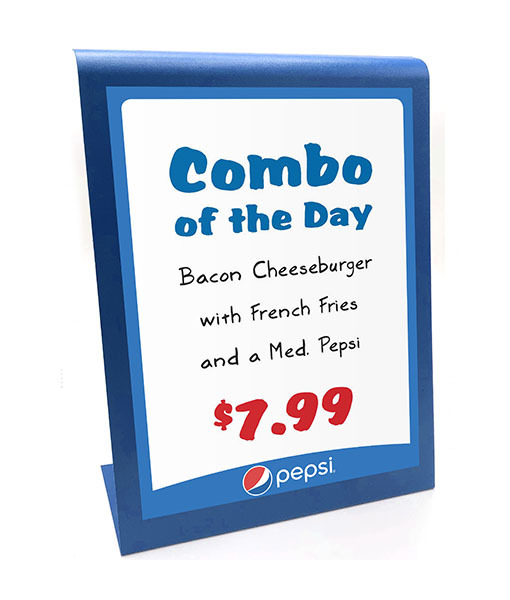 Create & print your own menu, promotion or advertisement, then slide into lens.